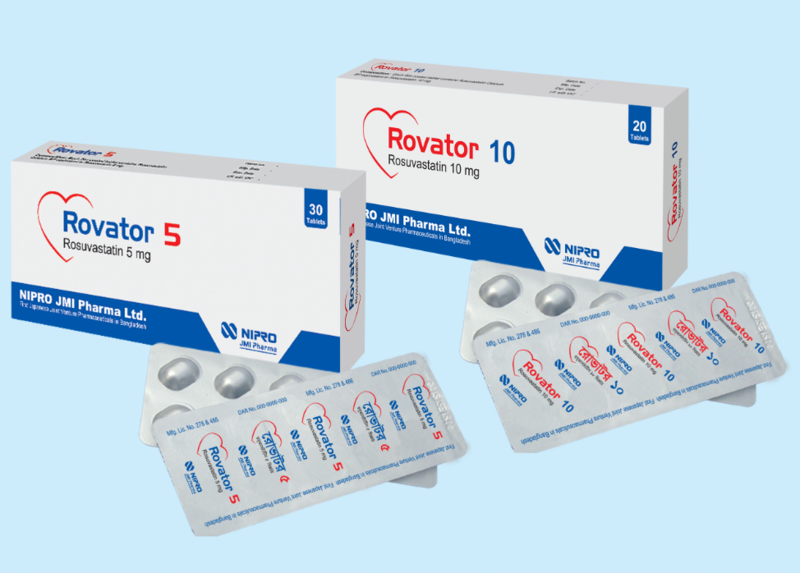 Rovator (Rosuvastatin) is a selective and competitive inhibitor of HMG-CoA reductase, the rate-limiting enzyme that converts 3-hydroxy-3-methyl glutaryl coenzyme A to mevalonate, a precursor of cholesterol. Rosuvastatin produces its lipid-modifying effects in two ways. First, it increases the number of hepatic LDL receptors on the cell surface to enhance uptake and catabolism of LDL. Second, Rosuvastatin inhibits hepatic synthesis of VLDL, which reduces the total number of VLDL and LDL particles.